My personal philosophy on scuba diving is simple. Above all else it should be safe, but fun runs a very close second. I try to bring that philosophy to my teaching. Safety always comes first, but I try to make learning as fun as possible. That is, after all, why we learn to dive. I also take great pride in helping turn students into the very best diver possible. That approach may take a little longer, but the end result is well worth the effort. 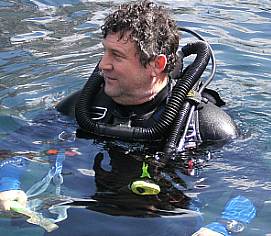 Helping make you comfortable and confident in your abilities will also make you a safer diver. After that, the fun just comes naturally.